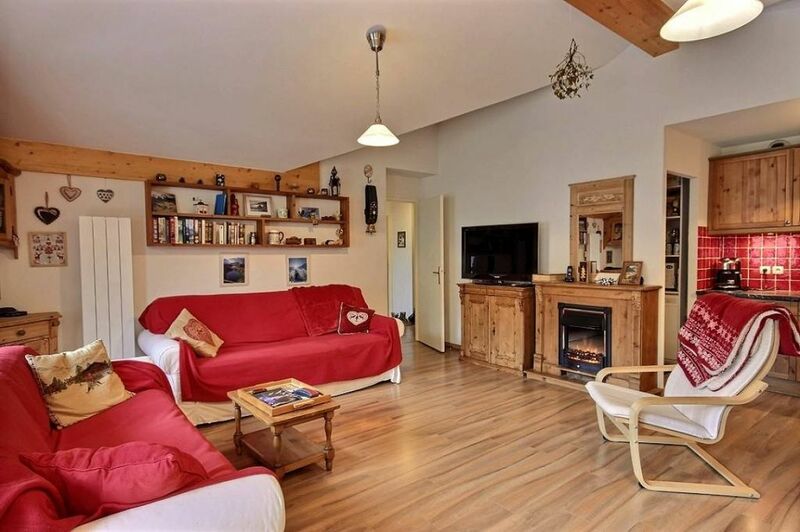 In the centre of Bourg St Maurice, close to the shops, the funicular, the station, the restaurants..., very nice apartment comprising a big living room kitchen with balcony facing west, a big bedroom with dressing, a smaller bedroom, a shower room and a toilet. This apartment is under the roof, at the top floor of a new building. It is sold with the fitted kitchen , a cellar and an underground parking place which could be close to convert it into a garage.